We don't introduce him anymore. Rami Al Ali pieces were worn by Beyoncé, Kelly Rowland, Kerry Washington and more. I was delighted to try one of his dresses and I directly put my eyes on this short and blue piece. Pleated trousers and a falling scarf on the sleeveless part of the dress to have a balanced composition. 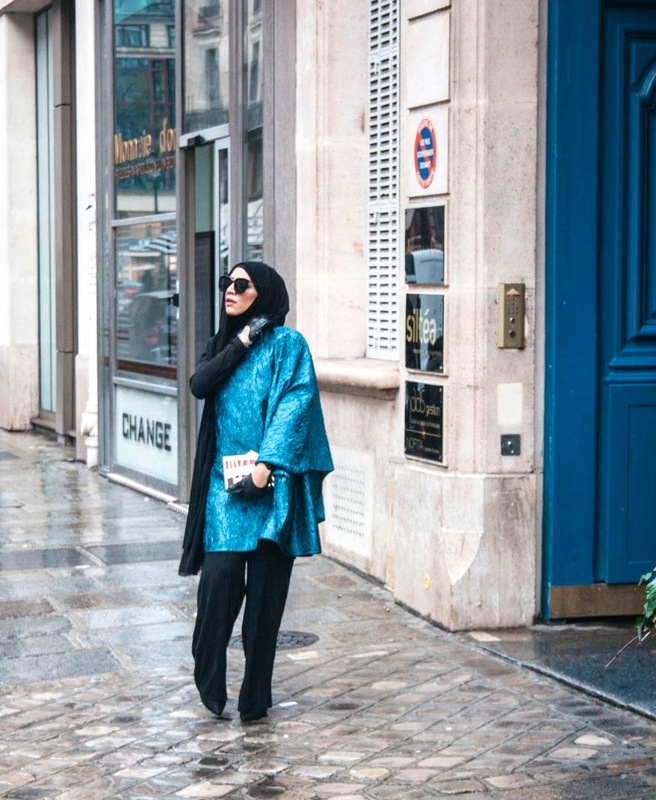 A Rula Galayini clutch later and I was ready to be photographed under a rainy Paris in front of a door that reminded me more of a sunny Sidi Bu Said.